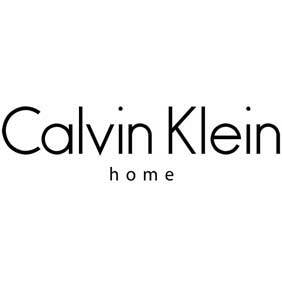 A recognisable name in the fashion world, Calvin Klein rugs by Nourison are at the cutting edge of style. Exciting and original, the texture shows off a playful range of textures and colours manufactured to the exceptional high quality you would expect of both the brand itself and Nourison. The highest standards and most luxurious yarns are used when creating each Nourison rug. They’re designed with the ability to both create a statement in your space as well as be coordinated with your luxurious interior. Fresh and clean, their design is sometimes simple but always recognisable as the high-end class you’d expect from Calvin Klein. Simple patterns than work are teamed with elegant, tonal colourways and even some unexpected yet effective combinations which can inspire whole room design. Fine materials and exceptional craftsmanship deliver luxury in every single rug throughout the collection. The range includes designs such as Haze which has a dramatic ombre effect design and beautifully hand-dyed yarns are brought together to create the ombre look. The Lunar Collection is another stand out option in the Calvin Klein rugs range. Almost luminescent, each Lunar rug incorporates silk-like fibres which result in a natural sheen and velvet-like texture. Calvin Klein is a brand known for their high-end quality approach to everything they do and this can definitely be said of the rug range they have put together. The elegance and sophistication of the brand is captured entirely in each of the rugs and the wide range of colourways, designs and sizes means any home can benefit from a piece of beautiful Calvin Klein style. True craftsmanship meets designer excellent in each and every Calvin Klein rug we have for sale. The different sizes truly mean there is a Calvin Klein rug which will suit any room in your home.